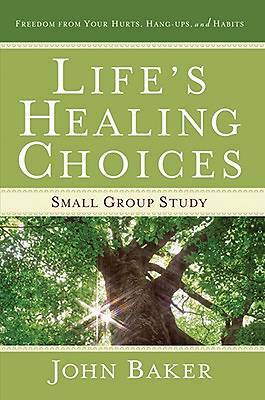 With a foreword by Pastor Rick Warren, Life's Healing Choices small group study, a resource tied to Celebrate Recovery (and Saddleback Community Church), offers happiness and healing through eight choices that lead to transformation. The perfect guide for small groups teaches readers how to handle their hurts, hang-ups, and habits, finding strength in numbers and compassion from others. Thousands of churches around the country have small group studies, and this book focuses on the eight concrete, well-defined choices that are the foundation of Life's Healing Choices. This guide is specifically designed to help small groups study the principles in more detail, such as Admitting Need, Getting Help, and Letting Go.